No kitchen is complete without a set of matching dishes. 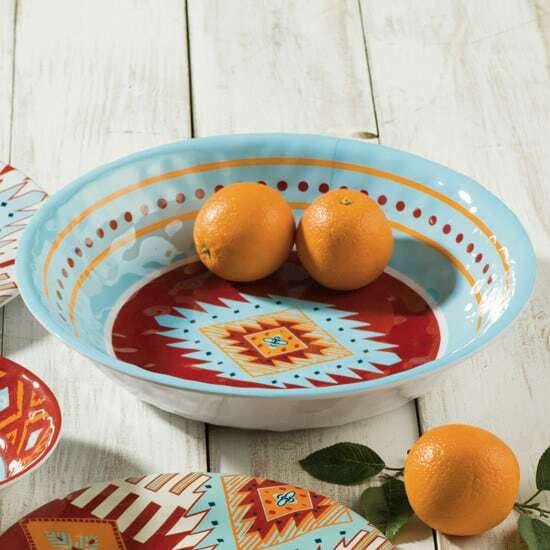 This bright and colorful southwest dinnerware set is perfect for everyday use. Hues of blue, red, and orange are found throughout this festive dinnerware. The entire set is melamine so it’s durable and kid friendly too. You can take it with you to picnics or leave it in your living quarters horse trailer for horse shows.